Edits to the layout of the form, including expanding the form from one to two pages (not including the form instructions and the List of Acceptable Documents). Use correct version of form. 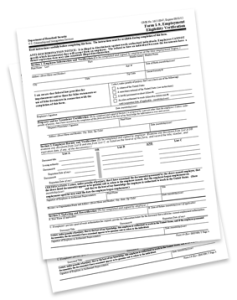 Effective May 7, 2013, the only version of the I-9 that is acceptable is the one with a revision date of “03/08/13 N.” The revision date is found in the bottom left corner of the form. The form is available for download from the State & Federal Resources section of HR411. The new form is only required for new hires; employers should NOT complete new I-9s for current employees who have a valid I-9 on file. Complete Section 1 by end of first day. Section 1 must be completed, signed, and dated by the new hire by the end of his or her first day of work for pay. However, the employee may not complete Section 1 until after he or she has accepted a job offer. Complete Section 2 within 3 business days. Section 2 must be completed by the employer within 3 business days following the employee’s first day of work for pay. For example, if an employee begins work on a Monday, Section 2 of the form must be completed by Thursday. This section of the form requires employees to present documents that establish identity and work authorization. A complete list of acceptable documents can be found on the last page of the form. Review documents with employee present. When you are examining the documents provided for Section 2, the employee must be present. If the documents are original, unexpired, and reasonably appear to be genuine and to relate to the person presenting them, you must accept them. If you make photocopies, be consistent. In general, there is no requirement for employers to make photocopies of an employee’s supporting documentation. However, if you do make photocopies, you must do so consistently for all new hires. Photocopies of supporting documentation should be kept with the employee’s I-9 form. Note: If an employer participates in E-Verify and the employee presents a document used as part of Photo Matching, currently the U.S. passport and passport card, Permanent Resident Card (Form I-551) and the Employment Authorization Document (Form I-766), the employer must retain a photocopy of the document he or she presents. Keep I-9 for at least minimum period required. I-9s must be stored for at least three years following the employee’s date of hire, or for one year after he or she separates from the company, whichever is later. For example, if an employee retires from your company after 20 years, you must retain his or her Form I-9 for a total of 21 years from the date of hire. Employers are only required to retain the pages on which the employer and employee have filled in information (pages 7 and 8 of the new form). Re-verify when necessary. Generally, if an employee’s supporting document contains an expiration date, employers must re-verify his or her employment eligibility on or before the date of expiration by completing Section 3 of the I-9 form. Note: U.S. Citizens and noncitizen nationals do not require re-verification. Therefore, expired U.S. passports or passport cards, Forms I-551, and List B documents that have expired may not be subject to re-verification. During the re-verification process, employers must accept whichever valid document(s) an employee chooses to present, whether or not they are the same documents provided initially. You may also be required to complete Section 3 when rehiring a former employee if it’s been less than three years since the employee initially completed the form. If the employee’s original form of work authorization has expired, you will need to examine a document that reflects current employment eligibility and record the document title, number, and expiration date within this section. If more than three years has passed since the individual initially completed the I-9 form, he or she must complete a new I-9. Maintain a separate I-9 file. It is a best practice to store all I-9 forms together in one file, separate from personnel files, since they must be produced promptly following an official request. You may retain completed I-9 forms on-site or at an off-site storage facility, as long as you are able to present the forms within three days of an inspection request from an officer of the Department of Homeland Security, Office of Special Counsel, or U.S. Department of Labor. Don’t complete an I-9 for independent contractors. 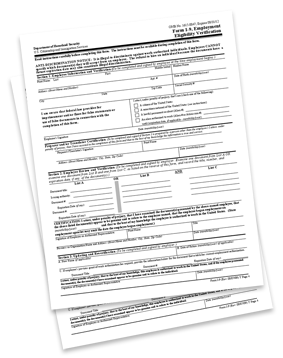 The requirement to complete the I-9 form extends to employees only. Employers should not complete an I-9 form for a bona fide independent contractor. Also exempt are persons who are employed by a contractor providing contract services (e.g., temporary agencies), casual domestic workers working in a private home on an irregular basis, and individuals who are not physically working on U.S. soil. Don’t mandate voluntary data elements. Employers may not require employees to provide a Social Security Number when completing Section 1 unless the employer participates in E-Verify. Note: The revised I-9 form adds fields for the employee to enter his or her email address and telephone number; these fields are also strictly voluntary. One document from List B (establishing identity) and one document from List C (establishing work authorization). Don’t accept copied or expired documents. Employees must present original unexpired documents. The only exception is that an employee may present a certified copy of a birth certificate. Don’t complete Spanish version unless located in Puerto Rico. The USCIS publishes a Spanish version of the I-9, but only employers in Puerto Rico may use it to verify an employee’s eligibility to work in the United States. Other employers may use the Spanish version as a guide for Spanish-speaking employees, provided the English version is the one completed and retained. Don’t forget I-9 is always required. The I-9 form must be completed by all new hires. It is important to remember that participating in E-Verify does not absolve the employer of its responsibility to complete and retain an I-9 form for each newly hired employee. Employers should review their I-9 practices on a regular basis to ensure adherence with the law.